Jute products are considered best products during every season. However their importance exceeds during summer due to the fresh and refreshing nature of jute products. The variety in jute cotton goods compels the buyers to try it at least once. 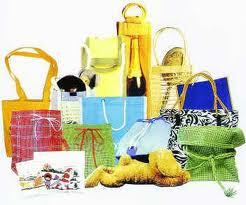 If we are planning to do shopping for summers then the list should contain jute cotton goods. The jute products are preferred due to its eco friendly nature. It is biodegradable product and hence it will not harm the environment. We all know that due to an increase in pollution we are facing various problems. Global warming caused by the different activities of mankind and as a result of the issue various other problems of health and environment is generated. By using the products of jute such as jute bags we can minimize the pollution and we can avoid the use of plastic bags. Jute is a natural fiber and it is highly eco friendly. You can use it for different purpose and the best thing about is that it can be reused also. So you can freely use jute decorative products for increasing the beauty of your home and once it is old you can convert it to some other form and can reuse it. 1.Jute is such a natural fiber that can be used to make different products and these products can be used on different occasions. Beautiful carpets, unique rugs and decorative items made up of jute are latest trend in the market. There is a never ending list of jute products and you can not imagine what role jute can play in your life. 2.Jute cotton goods are cheaper in comparison to other types of goods. Thus you can easily purchase it and it will not dig a hole in your pocket. You can easily afford it and indirectly you can save your earth. 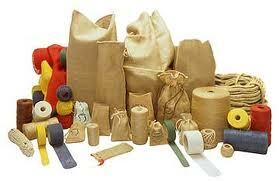 3.Jute goods are very useful in promoting small scale industries. You can enhance the rate of employment indirectly by the using the jute products which are made by these small scale jute industries. Introduction of jute industries in rural areas is not a difficult task and can be done for the betterment of rural areas. It will engage women and men both and will make them financially independent. 4.It should be noted that if you want to start a jute product manufacturing business then you do not need huge investment. The business can be started as the jute business demands low infrastructure for its establishment. Women empowerment and development of rural areas is the prime aim of jute industries. The most important advantage of using a jute product is that it is biodegradable product and hence you can contribute in preserving your environment by using jute products over other synthetic products. These small precautions may be very beneficial in future as our care and attention will stop this degradation of earth by various activities of mankind. Jute cotton goods will not only give us the satisfaction but it will also add charm to our life. How big stone rings play vital role in life?